Blue Thunder 14u got on the board in the first inning when Dakota Fanelli homered on a 1-1 count, scoring two runs. Blue Thunder 14u tallied four runs in the second inning. 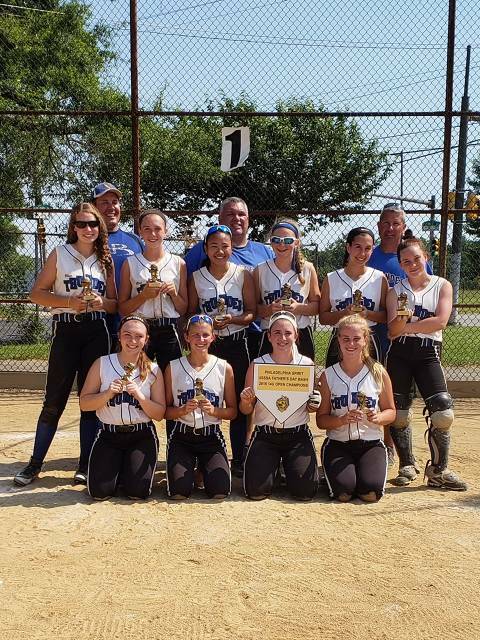 Blue Thunder 14u big bats were led by Fanelli, Mitchell, Ava Catron, and Allie Franck, all driving in runs in the inning. One bright spot for Lionville Lightning 14U Gold was a single by Alexa Bojko in the third inning. Mitchell earned the victory in the circle for Blue Thunder 14u . She allowed one hit and zero runs over four innings, striking out eight. 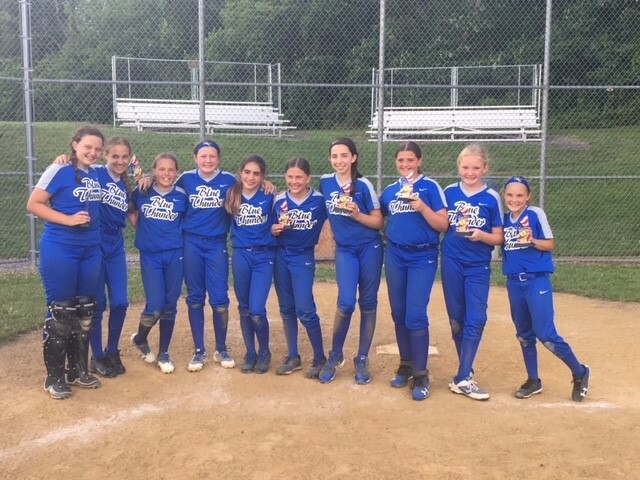 Joella Seese took the loss for Lionville Lightning 14U Gold. She went three and a third innings, allowing eight runs on eight hits and striking out one. 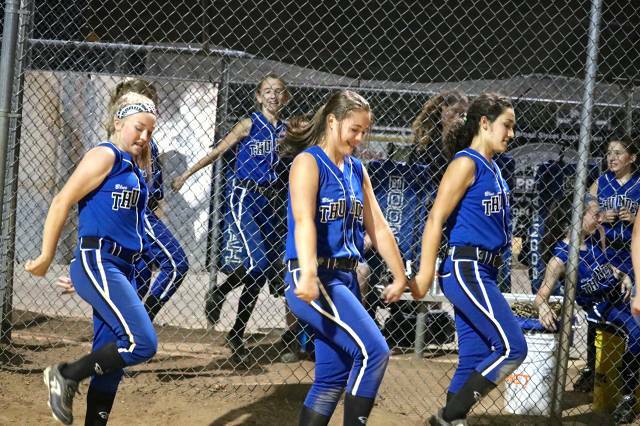 Blue Thunder 14u socked one home run on the day. Fanelli went yard in the first inning. 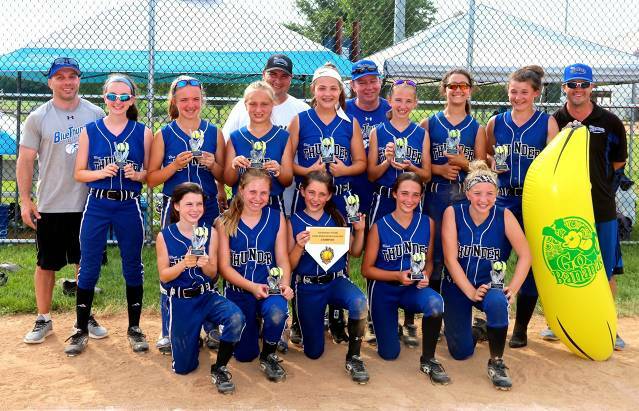 Blue Thunder 14u totaled eight hits. Mitchell, Ella Wheeler, and Franck each managed multiple hits for Blue Thunder 14u . Franck, Wheeler, and Mitchell each collected two hits to lead Blue Thunder 14u . 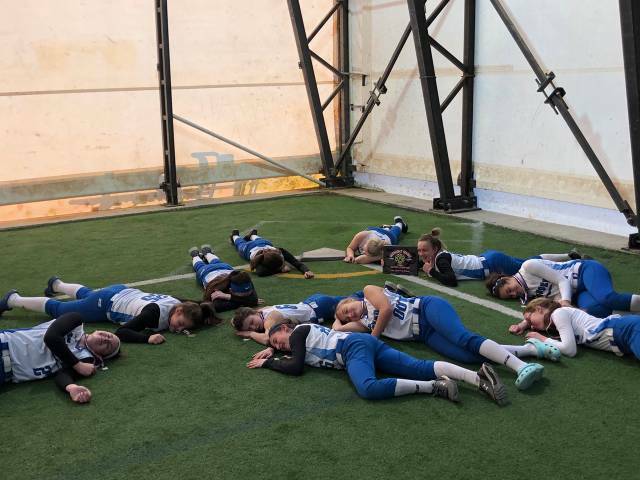 Blue Thunder 14u was sure-handed and didn't commit a single error. Catronmade the most plays with eight. Bojko led Lionville Lightning 14U Gold with one hit in two at bats. 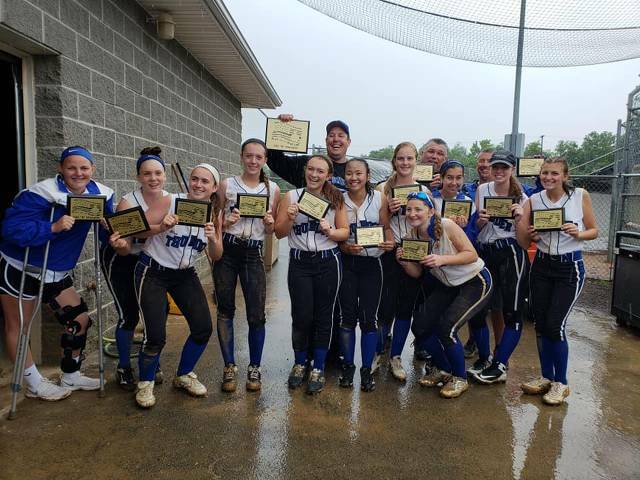 Lionville Lightning 14U Gold was sure-handed in the field and didn't commit a single error. Seese had the most chances in the field with three. It's save to say the girls were a bit tired after this one!!! Blue Thunder 14u snatched the lead late in the game in an 8-5 victory over PEGASUS 14U BLACK on Sunday. 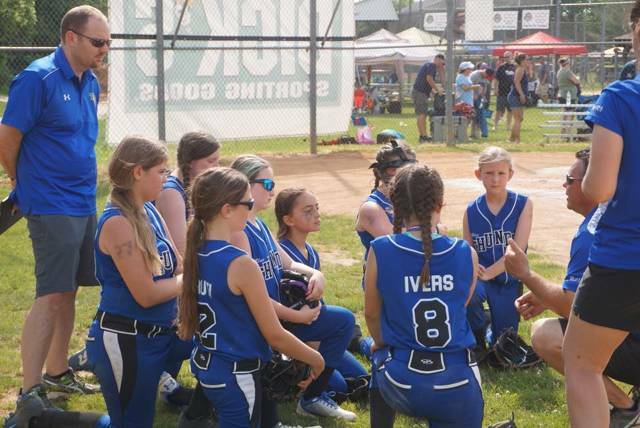 Blue Thunder 14u was down 2-1 in the top of the fourth inning when Ava Catron doubled on a 1-0 count, scoring two runs. Blue Thunder 14u earned the victory despite allowing PEGASUS 14U BLACK to score three runs in the fifth inning. PEGASUS 14U BLACK offense in the inning was led by ALLYSON BLACK, MAIREAD HOPKINS, and KELLIE MARTIN, all knocking in runs in the inning. PEGASUS 14U BLACK took an early lead in the first inning. SHANNON GAVIGAN singled on a 1-1 count, scoring one run. Blue Thunder 14u scored five runs in the fifth inning. 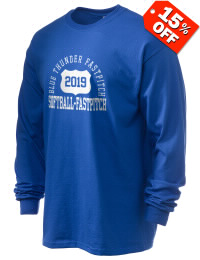 Blue Thunder 14u put the pressure on, lead by singles by Ella Wheeler, Kayla Mitchell, and Allie Franck, a walk by Dakota Fanelli, and by Catron. Fanelli led things off in the pitcher's circle for Blue Thunder 14u . She went five innings, allowing five runs on ten hits, striking out one and walking one. ASHLYN GUNN led things off in the circle for PEGASUS 14U BLACK . She allowed six hits and three runs over three and two-thirds innings, striking out two. EMMA TAYLOR threw one and one-third innings in relief out of the bullpen. Blue Thunder 14u had ten hits in the game. Mitchell, Franck, Wheeler, and MacKenzie Kramerall had multiple hits for Blue Thunder 14u . Kramer, Wheeler, Franck, and Mitchell each collected two hits to lead Blue Thunder 14u . PEGASUS 14U BLACK racked up ten hits on the day. HOPKINS and GAVIGAN all managed multiple hits for PEGASUS 14U BLACK . HOPKINS led PEGASUS 14U BLACK with three hits in three at bats. PEGASUS 14U BLACK was sure-handed in the field and didn't commit a single error. GALINA WHIPPLE had the most chances in the field with five. Hosting our first tournament ever was very exciting for sure and a ton of Work! We had an amazing turnout with fantastic weather! The Parents and Volunteers were amazing and our Tournament was a great success! We were happy to bring home the W at the end of it all, It was the perfect ending to the perfect weekend! 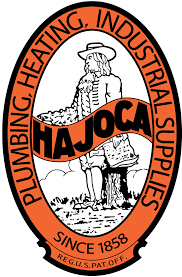 Kind of a Big Deal! 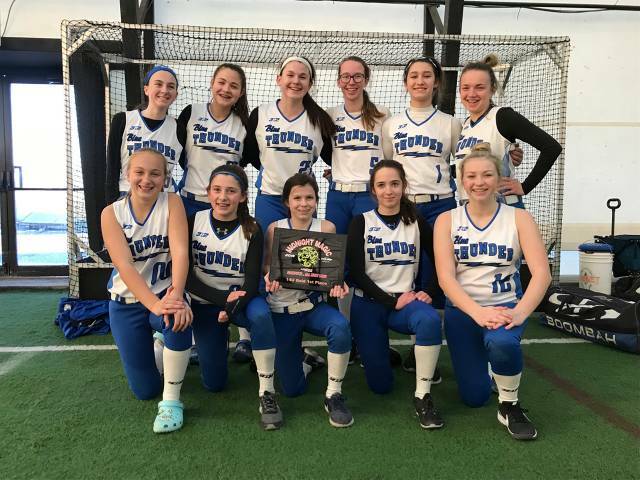 Congrats to the 14U Blue Thunder team securing their 3rd Championship in a row and notching themselves as BEST in USSSA Easter PA States! What an amazing group of girls this team consists of! All of you have made us VERY PROUD! Keep in going into Nationals ladies! 14U does it again!!! Father's Day Bash CHAMPIONS!!! 12U team wins Night Owl Championship! 12U Bendo wins USSSA Pride in the Diamond Tourney going 5-0! 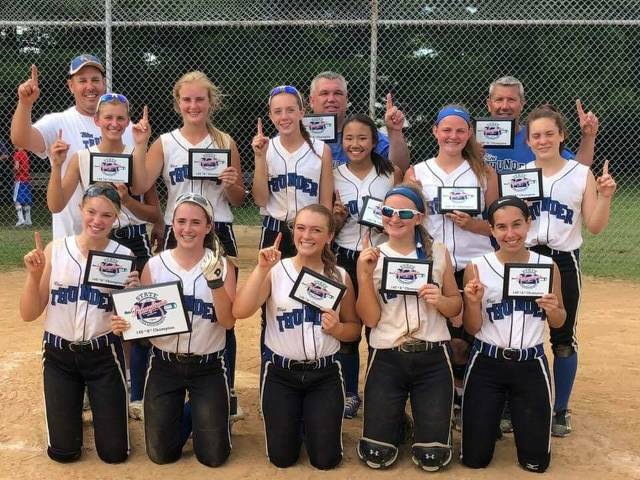 14U Blue Thunder Does It AGAIN!! !